Unfortunately, there is no accurate way of planning out exactly how much money you will need while on holiday. Sure ticket and accommodation costs are straightforward, but that’s about it. Most of us end up spending way more than we initially thought, and by the time we realise it is probably too late. What if we told you that there are some ways to earn some money even when you’re away on holiday? We’re not talking a huge amount, but still enough to cover for a part of your unexpected expenses. Interested? Read on to discover six ways to make money even when you are on holiday! Unless you are some kind of omnipresent entity capable of being in two places at once, your house will probably be empty while you are gone. Rather than letting it just sit there, you can tap into its money-making potential. Luckily, you don’t even need to be on location to rent your place out. Services like Airsorted and Under the Doormat can manage your Airbnb (or any other platform you use) listing entirely, from responding to enquiries and checking the guests in, to cleaning the flat after they check out. They get a fee for their service (around 10-12%), and you practically earn money while doing nothing. You can spend your money in more productive ways. The amount of money you’ll get depends entirely on the season and the location of your house. Either way, it’s a great way to spice up your holiday budget effortlessly! It can be any kind of art: Paintings, jewellery or handmade tea cosies. Bring a few along and try to sell them on touristy streets. It might be a bit intimidating at first, but you’ll quickly get over it (and even make friends). That being said, some common sense is advised when you go about peddling your wares. Learn about the local legislation before you set up shop and stick to the busy pedestrian streets. Worst case scenario, you earn nothing and you get on with your holiday plans. Are you a talented musician, acrobat or comedian? Here’s an excellent opportunity to put your skills to good use! Try asking the local pubs and comedy clubs if they are interested in hearing your stuff. If you are a seasoned performer that shouldn’t be a problem. Otherwise, it is probably a good idea to practice your material before taking your show on the road. Did you know you could also make good money performing live aboard cruise ships? Services like Proship can get you booked with paid gigs while travelling around the world on luxurious boats! Granted, it’s not exactly a holiday but sure as hell beats playing at your local pub. If you have a good quality camera and decent photo editing skills, you can always sell some photos of your trip to stock photo websites. Most of those services work on royalties that you get based on how often your image is downloaded. Stock photography agencies that offer better rates have a vetting process in place before you can join. Others are more niche and might even give you a percentage of the profits. When trying to put your photos up for sale, it is a good idea to do a bit of research. 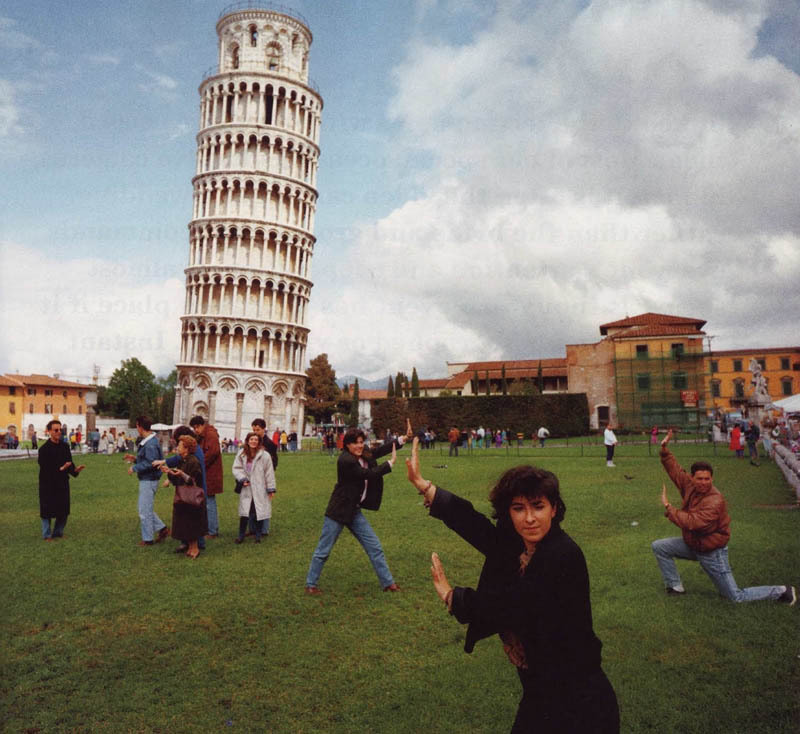 No one is interested in your photo pretending to hold the Leaning Tower of Pisa. NO ONE. Generic images work best: Take a look at what your favourite websites use. Your photos should encapsulate the essence of a concept or idea to be marketable. Think business photos or beautiful landscapes of the places you visit. All in all, stock photography is a tight market -but hey, you never know! Although the market is saturated, there is great demand for original photography. If you keep at it, you can eventually build a decent income stream. Are you a native English speaker? Do you have a way with words? Do your friends turn to you if they want to proofread their writing? Any of the above can be turned into a profitable side business. There is always a high demand for fluent English speakers online. You can sign up as a writer, proofreader or virtual assistant on “gig marketplace” websites like UpWork, Fiverr or PeoplePerHour. It might be a while before you see any orders coming your way, but once the first few positive reviews start rolling in you might find yourself with more work than you expected! You don’t have to just sit and wait for work to fall on your lap: All of the above websites let you pitch to clients directly and explain why you are the best person for the job. Also, you might find that spreading the word might present you with unexpected opportunities. For best results, try dipping your toes in online freelancing before going on holiday. That way, you can familiarise yourself with the online platforms and build a solid customer base. Then, you can work from anywhere you are! Just make sure you complete all orders that come your way on time. Bad reviews are hard to shake off, and they might even get you banned for life! If you are one of those people that like to go on holiday to the same place each year, you’ve probably built a solid knowledge around it. For example, Greek islands usually have a lot of unknown but exciting myths surrounding them. What if you could share your insights with others -for profit? As with everything in this day and age, there is an online service for that. Vayable is a website that connects you with people seeking local insiders to show them the ins and outs of a place. Rates for custom tours can range for anything between £25-150 for a couple of hours, while you get to meet new people from all over the world. That way you can complement your income doing something you love, meeting interesting people from across the globe in the process! Store Your Luggage With Us! Staying productive even during your holiday is admirable. Well done you! 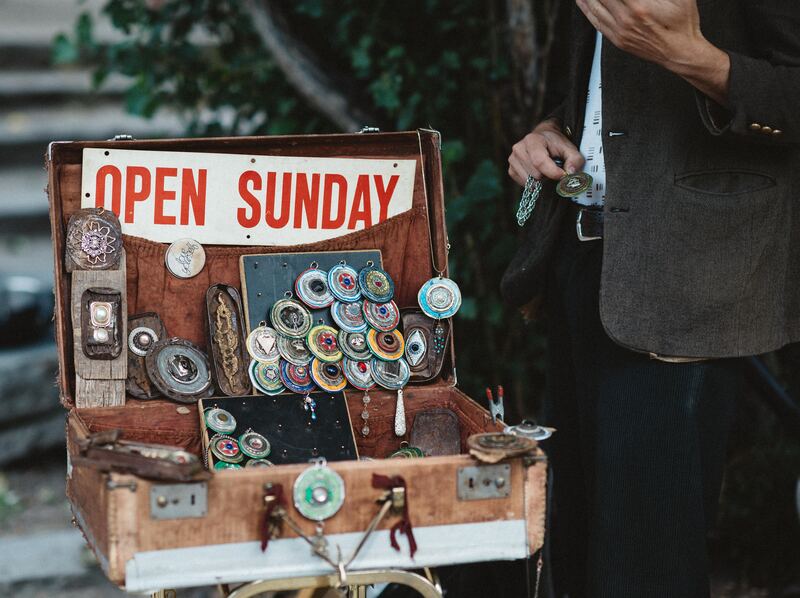 Your entrepreneurial spirit will serve you well. However, you are still on holiday, so don’t forget to have some fun too. So, if you find yourself in the centre of the city with some time to kill before your flight, don’t just waste it on your smartphone guarding your things (or musical instruments). 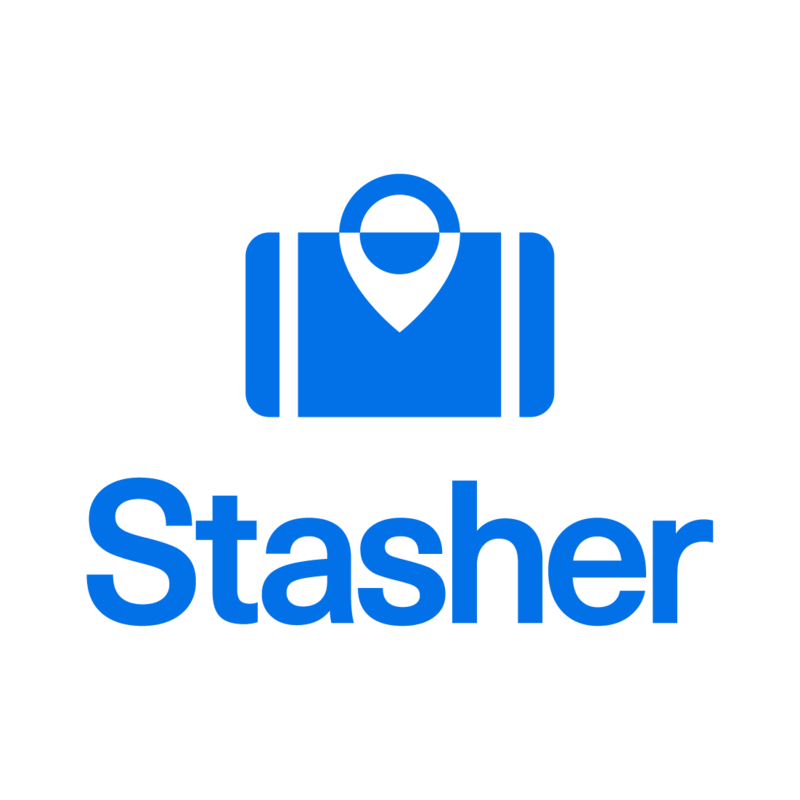 Store your luggage at one of our StashPoints and go spend your smartly-earned profits, in style!